Every year my Mom's side of the family has a big cookie exchange. Depending on how many people are in it, you make at least 9-10 dozen of the same type of cookie and end up bringing home that very amount (but more because my aunt makes pumpkin rolls, too! ), but each dozen is a different cookie! Aka...you hit the cookie jackpot. Well, this year, I decided to pass because I didn't know how I would feel being 9 months pregnant and making 9 dozen cookies, when I could potentially go into labor at any time. 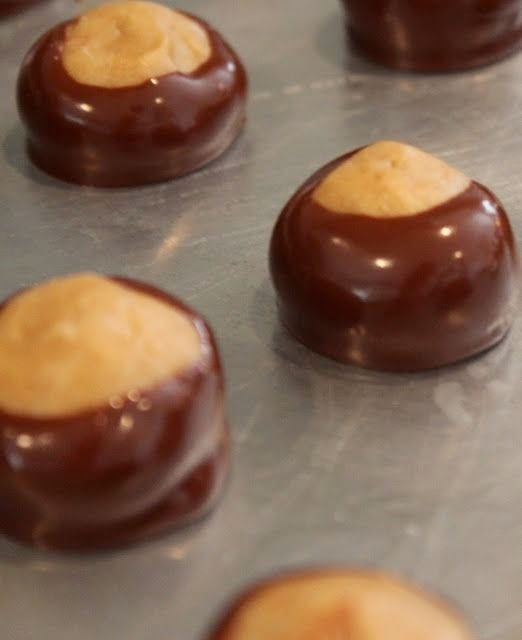 It was probably the best move on my end, but I still missed making my famous Oreo balls that I normally make for everyone so I wanted to share them today on here, along with my popular Buckeyes recipe! Both of these desserts I posted about in the past two years, but they are some of my most popular posts and since it's the week before Christmas you might just be wondering how you can totally impress your family with an awesome dessert. Maybe? Or maybe you're just having some super intense cookie cravings like I am? Have no fear, I'm here to give you my top two favorites! What are your favorite holiday desserts to make? 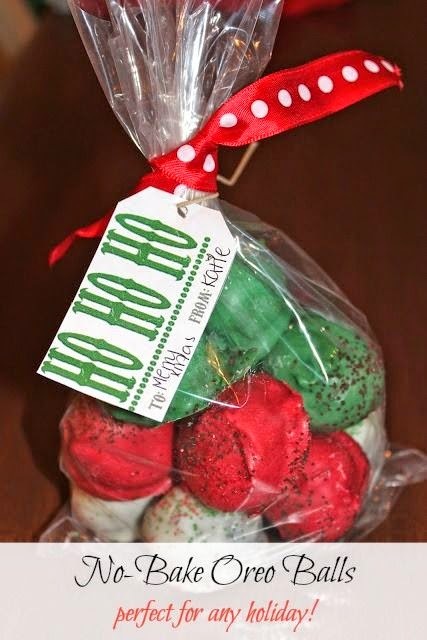 Do you do a cookie exchange with your family? If not, what are you waiting for? Start one! Love these recipes! Trying a spin on the oreo balls and using the vanilla oreos and adding cinnamon to make snickerdooble oreo balls!! Thanks, Katie! 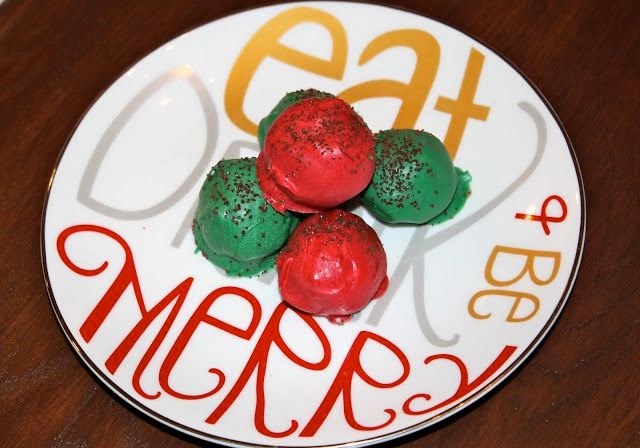 I'm going to try the Oreo balls this year. Where do you find the candy melts? Does Kroger have them? 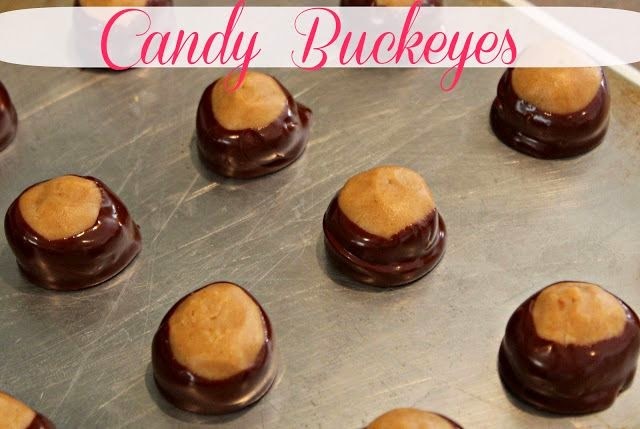 Those buckeye balls are my favorite! They are so good around Christmas time. Made the Oreo balls this past weekend. They are so good. Saving them for our after dinner treat on Christmas. Thanks for sharing and Merry Christmas!